Regardless of how you pronounce it, the animated image standard is a hugely popular way of sharing content and reactions online. Making them is a skill in its own right, but you can easily create some great ones using existing online video from sites like YouTube. In the past, you might have needed to use something like Photoshop to make animated GIFs, but that’s no longer the case. In this guide, we’ll teach you how to make a GIF from a YouTube video with some simple online tools. Whichever of these tools you prefer, each does the job well and are simple enough that we’ll have you making GIFs in just a few minutes. Step 1: Find the YouTube video that you want to turn into a GIF (perhaps a NASA archive?) and copy its URL. Step 2: Navigate to GIFs.com. 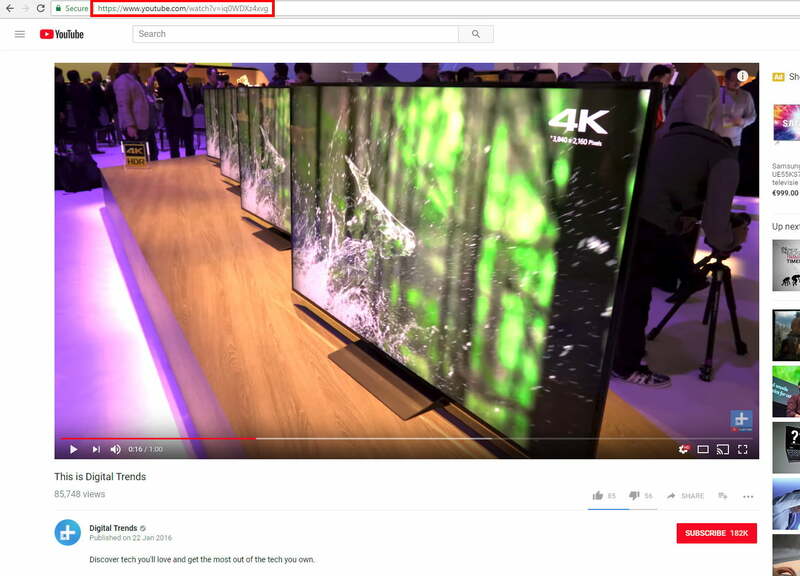 Paste your chosen YouTube URL into the white box on the left of the page (double-check that you’ve copied the whole link so this will work). It should automatically detect it. If it doesn’t work right away, just click the “Create” button. You can also upload your own videos to the site by clicking the “Upload” button. Step 3: If your image features a promo ad in the lower-left corner, be sure to click the “X” to make it disappear (otherwise it will appear in your GIF). Then, click the timeline below the image and select the start and end times for your animated GIF. A blue bar indicates the period that will be used. You can make it as long or as short as you’d like, but remember the longer the animation, the bigger the file size. Some places where you’d like to share the GIF might put a limit on the size. Twitter, for example, has a GIF limit of 5MB on mobile devices, and 15MB on desktop–although 15MB is considered very, very large for a GIF. Next, add some effects, a caption, or a sticker if you’d like. You can also crop the image, as well as add other effects. When you’re satisfied, click “Create Gif” in the top right-hand corner. It may take some time to create the image, especially if you’re creating a long GIF, so be patient. Step 4: The next page asks that you confirm the GIF’s title, as well as select any tags you want it to have. Step 5: The final page will give you options for downloading, embedding, or sharing your newly created GIF. You’re also given a preview to see what it looks like. If you’d like to remove the watermark in the corner you can, but it will mean signing up to the premium service which is $8 a month, and it’s not something you need to do for the casual GIF creation. 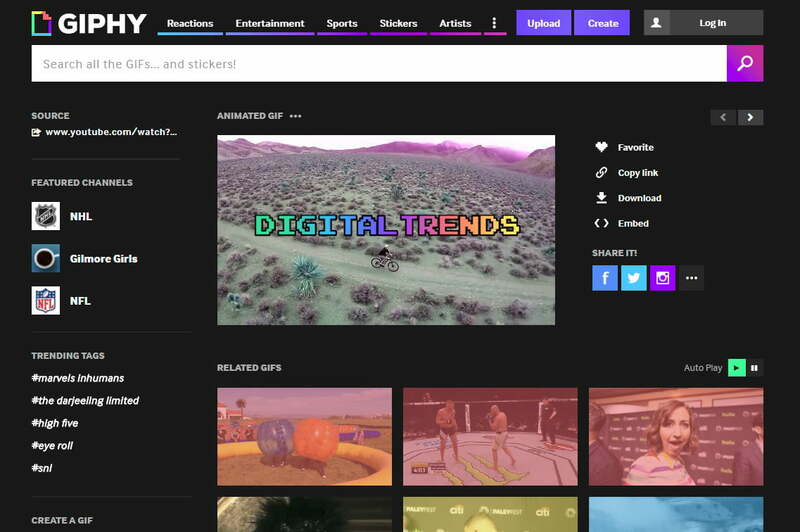 Another popular online GIF making service is Giphy. It supports YouTube and Vimeo links, as well as manually created GIFs from photos. 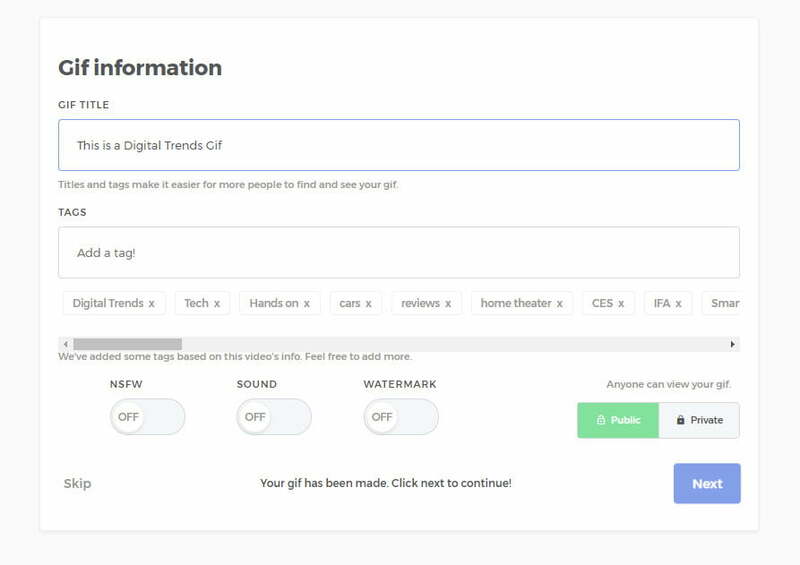 It also has a host of different options for customizing your GIF, adding captions and other elements to make it just how you want. 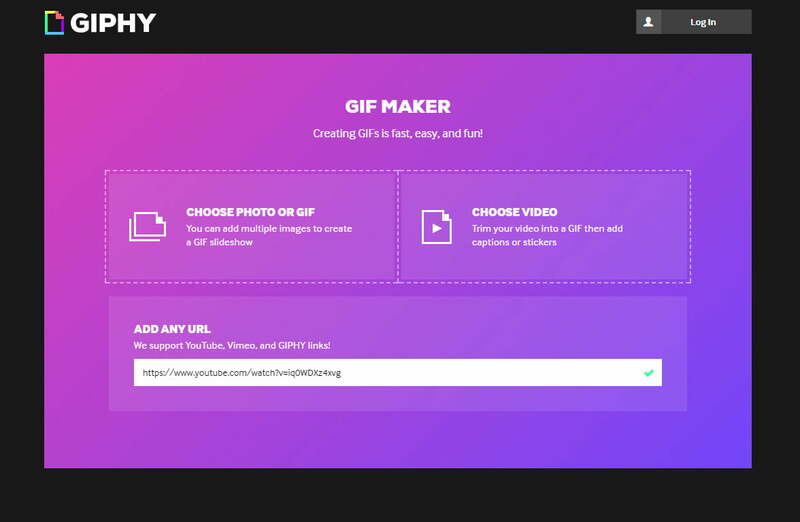 Step 1: Copy the YouTube URL you want to make a GIF from and navigate to giphy.com. Click the “Create” button in the top menu-bar. Step 2: Paste your YouTube URL into the input box at the base of the page. 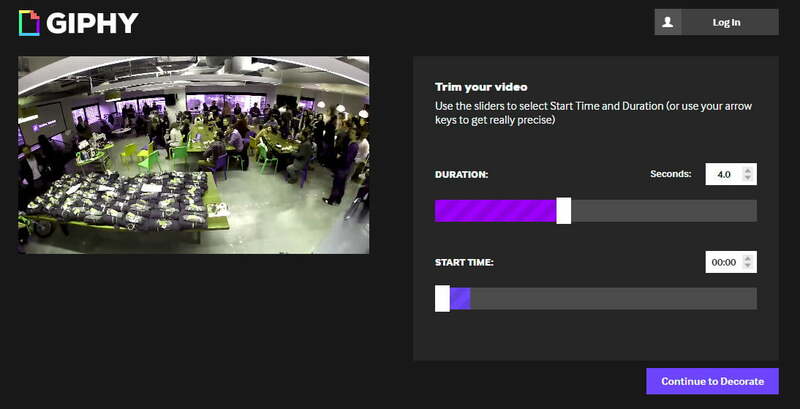 Step 3: Choose the start time and duration of your GIF and click the “Continue to Decorate” button. Step 4: Add a caption if you wish, as well as any stickers of drawn overlays. When satisfied, click the “Continue to Upload” button. Step 5: Wait for the GIF to be created. If it’s long, it may take a few minutes. 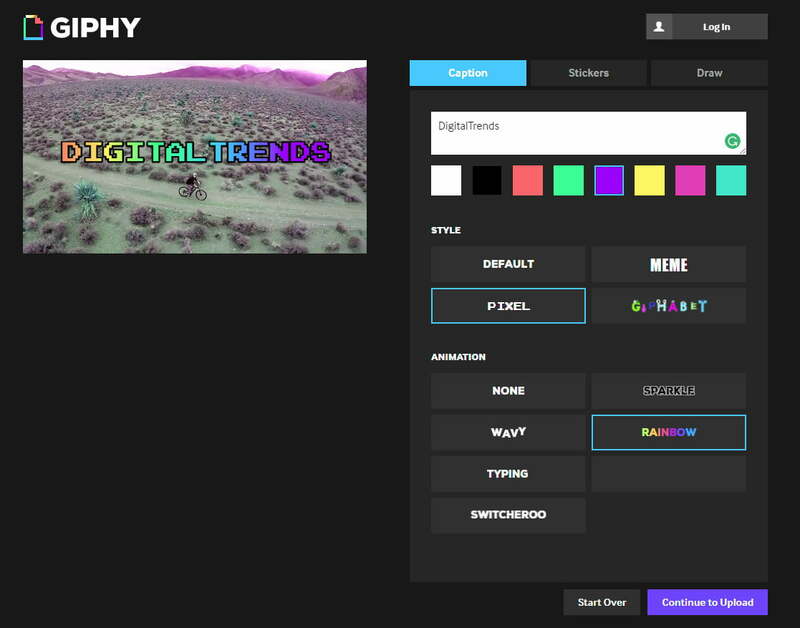 When fully created, click the “Upload to GIPHY” button to publish it. Step 6: You can now use the available links to download your new GIF, copy it, embed it on a website, and more!